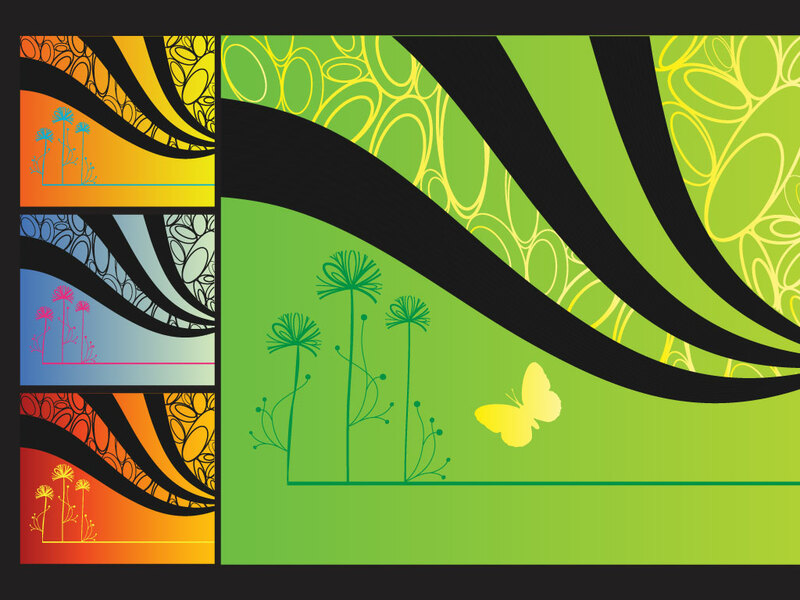 Free spring vector backdrops set. Download this abstract spring themed Illustrator background for your designs and illustrations. Four different color schemes to choose from in this modern nature graphics pack. Tags: Abstract, Backdrop, Butterfly, Flowers, Invitation, Spring, Swoosh, Waves.